Offering you a complete choice of products which include cashew nut sorting machines. We hold expertise in offering a superior quality range of Cashew Nut Sorting Machines. 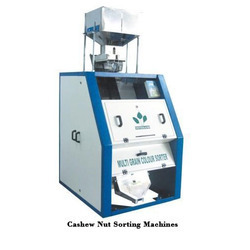 Our nut sorting machines can sort the cashew nuts without breaking it as per the size of nuts. These nut sorting machines are manufactured using high grade components as per international quality standards under the strict guidance of our expert professionals.